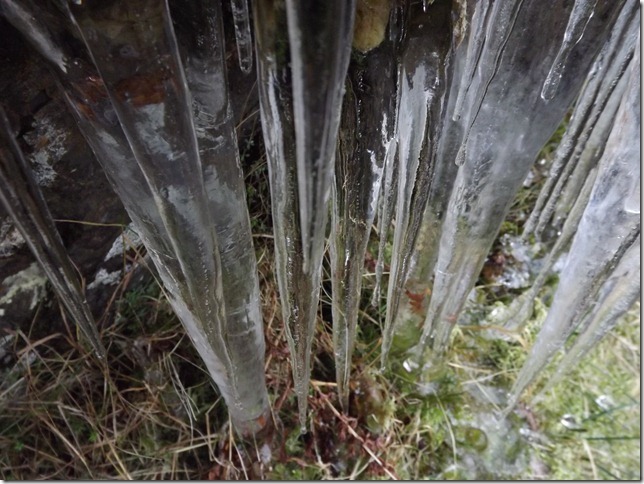 Fell Running Briefs: Would you like ice with that? At about 11 o' clock this morning I dug out my phone from my rucksack, to check the twitter feed. Sure enough, the news I was fearing had come in. I think we all knew it was coming but it's still a shame. 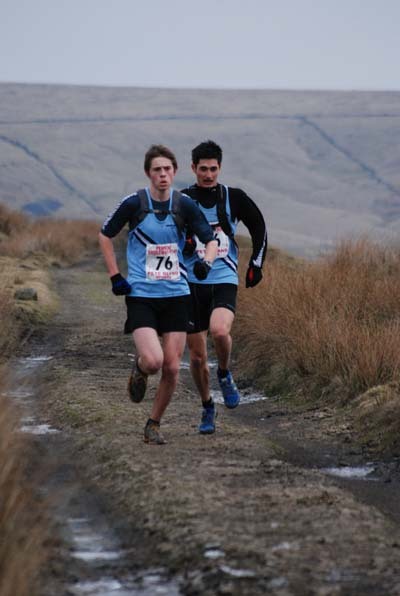 It's the Pennine Bridleway Relay on Sunday, the first big test of 2012, the one where road running clubs try to show fell running clubs a thing or two (and vice versa) and a good natured 'War of the Roses' takes place. But this year the battle has already started and it's between us and the weather, as the ice threatens to prevent the relay going ahead. We need to make things clear - It's not the 200 mile long distance route between the Peak District and the borders of Scotland! 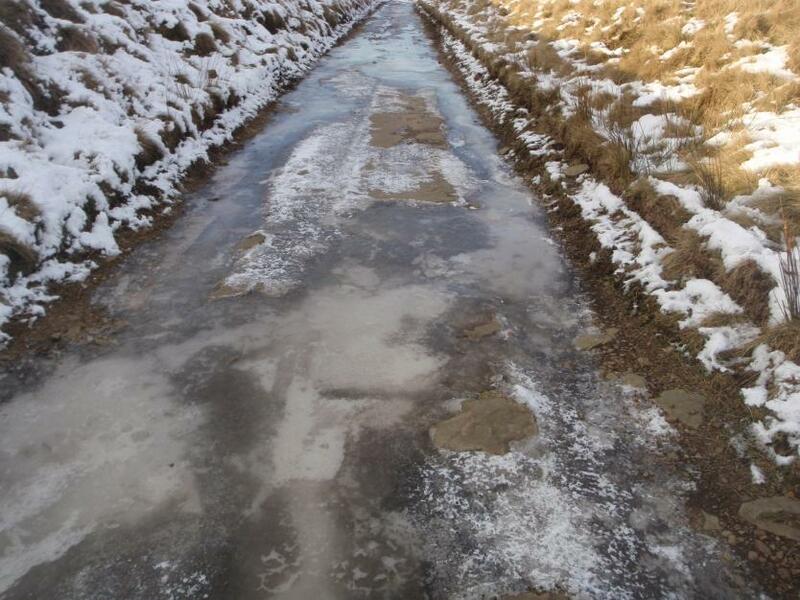 It's a 47 mile circular route through the South Pennines. 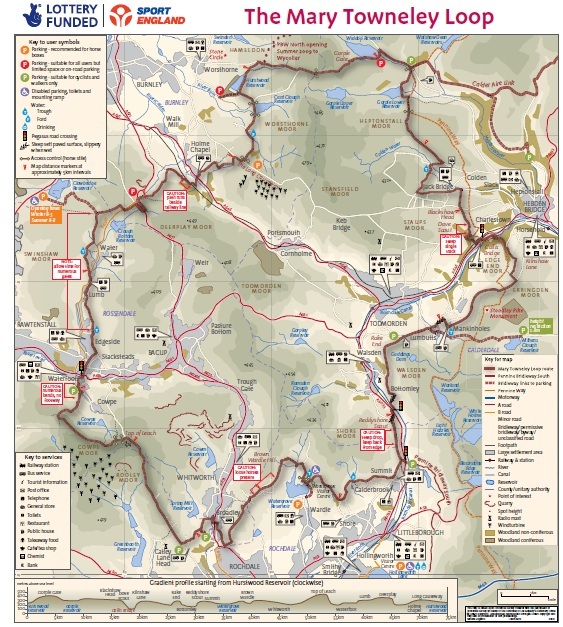 The National Trail leaflet describes it as "a journey through the South Pennines, where you will encounter open moorland and hidden reservoirs, ancient packhorse tracks sweeping into valleys with gritstone walls, mill chimneys and canals offering a glimpse of past histories"
The terrain is "a variety of surfaces including grass tracks, stone setts, stone causeways, aggregate paths and some quiet roads". 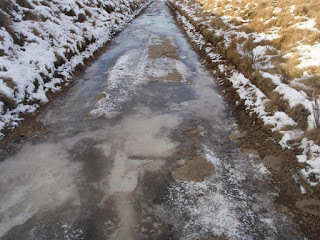 This is why road runners can do so well on the course and why ice can create a problem. 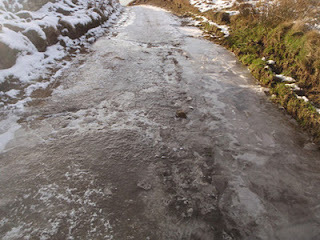 "As of Monday afternoon the route is unsafe for the race to go ahead, lots of hard water ice despite the afternoon sun. The snow is mostly ok, it's the ice which is frightening !.....we will make an inspection on sections of the route early on Saturday morning and will email all the clubs our findings at 10.00 am. I will also post details on the event website and on the FRA forum. Whatever the outcome I hope that everyone understands our obligations as organisers with regard to safety. We have already had two broken legs on this race in the past which has been personally upsetting." Fingers crossed it goes ahead as it's a great day and a great start to the fell running year. If it does go ahead Fell Running Briefs will be there with paper, pencil, camera and phone! 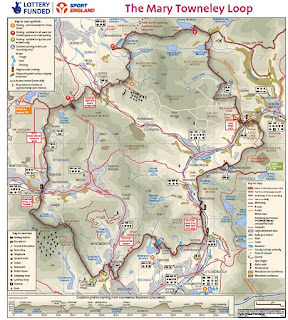 You can follow us on twitter (@fellrunninbrief) or read the updates which will appear in the top right hand corner of this page.